Alcoholic Drinks – Which ones should you choose? The season of rooftop bars and barbeques is in full swing! Do you fancy an alcoholic drink but are worried about your weight and your health? Did you know that the number of calories and the amount of sugar varies wildly between different drinks? Here are 4 tips to help you enjoy a glass without affecting your waistline or your blood glucose. 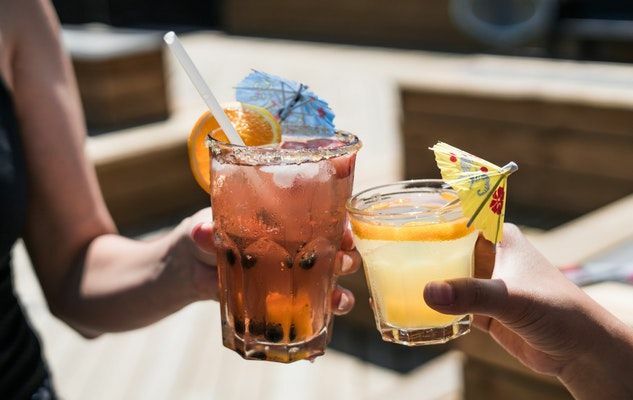 The number of calories in alcoholic drinks varies depending on the alcohol percentage, the amount of sugar and the portion. Alcohol is rich in calories. A gram of alcohol contains 7 calories, whereas a gram of sugar contains 4 calories. What’s more, the calories in alcohol are empty calories, which means they don’t bring you any nutrition and aren’t used to produce energy. A normal portion of wine is around 5 oz (150ml) and contains around 120 calories. A regular beer contains around 150 calories whereas some light beers contain between 60 and 90 calories per bottle. Spirits like rum, vodka, whisky and gin contain around 95 calories for 45ml (1 ½ oz). While the occasional glass won’t affect your weight, the accumulation of portions is dangerous! When calories that come from alcohol are consumed on top of calories normally eaten and are not burnt through additional physical activity, they accumulate as fat and can cause long term weight gain. What’s more, alcohol affects your hunger and judgement, which means alcohol consumption usually comes with an excessive intake of foods like cheese and crackers. Avoid drinking on an empty stomach, and hydrate by drinking water in between each drink. This way, your body will be better able to process the alcohol, and its impact on your waistline will be kept to a minimum! Kathryn completed degrees in kinesiology and nutrition, as well as a Masters in Sports Nutrition. 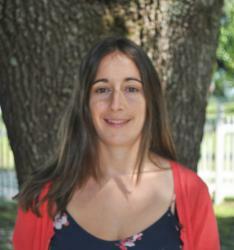 She is a member of OPDQ and of the Academy of Nutrition and Dietetics. She ran track and cross-country at a national level. Kathryn specializes in sports nutrition, weight loss, diabetes, as well as heart and gastrointestinal health.